This recipe is short and sweet. So, I thought I'd keep my post short and sweet to match. This is less of a recipe and more of a guideline. It is infinitely adaptable. Ran out of apples yesterday? Sub in strawberries and rhubarb. 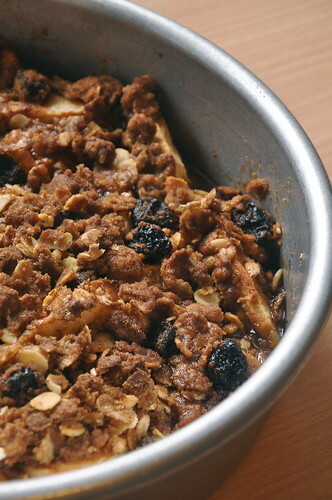 Don't keep muesli in the house? Simply use rolled oats. Cinnamon doesn't do it for you? Feel free to use ginger instead. This recipe will take whatever you throw at it. And the best part about it- it takes no time to put together and very little time to bake. It's also incredibly delicious. Did I mention that? Preheat the oven to 400 degrees. Grease the bottom and sides of an 8-inch cake pan. Layer the apples over the bottom of the cake pan. 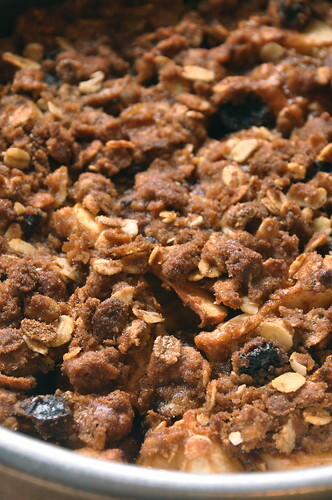 Mix together the muesli, brown sugar, cinnamon, and salt. Work the butter into the muesli mixture until it forms pea-sized lumps. 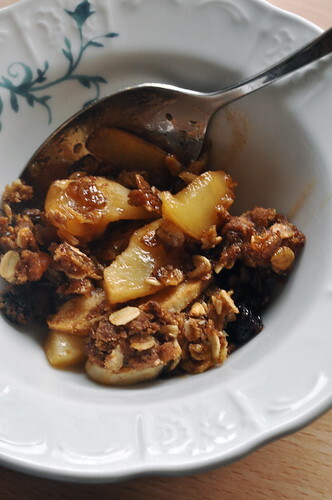 Scatter the muesli mixture over the apples. 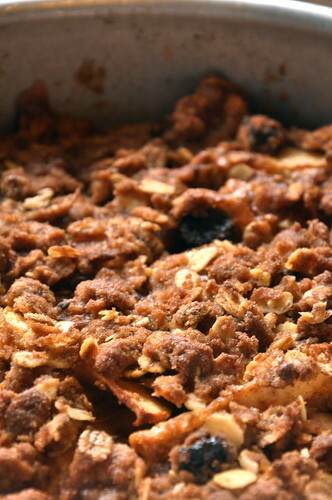 Bake for about 25 minutes, or until the apples are soft. Enjoy!